SJAF is committed to fully implementing the EU’s General Data Protection Regulation (“GDPR”) which comes into effect on May 25, 2018. To comply with GDPR consent requirements, we need confirmation that we have your permission to continue to store your contact information, and that you are happy to continue to receive emails from us. It will not take you longer than a minute. You can unsubscribe, change your data or have it deleted, at any time. Thank you for your ongoing interest in SJAF activities. ​St Jeanne Antide Foundatin will use the information you provide on this form to be in touch with you and to provide updates . You can change your mind at any time by clicking the unsubscribe link in the footer of any email you receive from us, or by contacting us at sjafngo@gmail.com We will treat your information with respect. For more information about our privacy practices please visit our website. By clicking below, you agree that we may process your information in accordance with these terms. St Jeanne Antide Foundatin will use the information you provide on this form to be in touch with you and to provide updates . You can change your mind at any time by clicking the unsubscribe link in the footer of any email you receive from us, or by contacting us at sjafngo@gmail.com We will treat your information with respect. For more information about our privacy practices please visit our website. By clicking below, you agree that we may process your information in accordance with these terms. All Services - The Foundation's overarching objective is to provide professional support services to very vulnerable persons who are sliding into poverty and are socially excluded. All our services are offered free of charge. 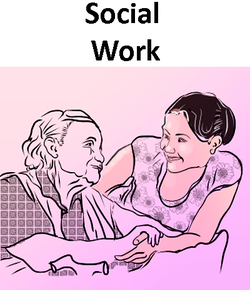 Social Work - Through the Foundation’s two Family Resource Centres, Social Workers support vulnerable individuals and families to enable them to increase their ability to solve problems, build better relationships with significant others, access their rights and obtain needed resources. Social Workers advocate on behalf of service users and carry out street outreach work to identify and extend support to hard-to-reach families. 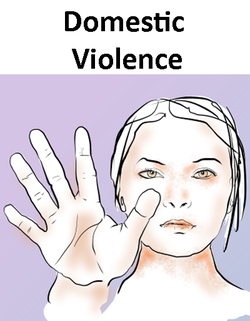 Domestic Violence - Violence in Intimate relationships generally happens when one partner has more physical, social and financial power over the other and uses that power to abuse and exert control over the victim. Isolation, low self-esteem and homelessness are some of the situations victims face when they leave. SOAR is here to support you. Mental Health- The LWIEN Service enables family caregivers of persons suffering from mental ill health to access support that enables them to continue shouldering their caring responsibility with more competence and without breaking down themselves. Persons wanting to be free from their anger, fear or other emotional distress can access the Emotional Freedom Service.